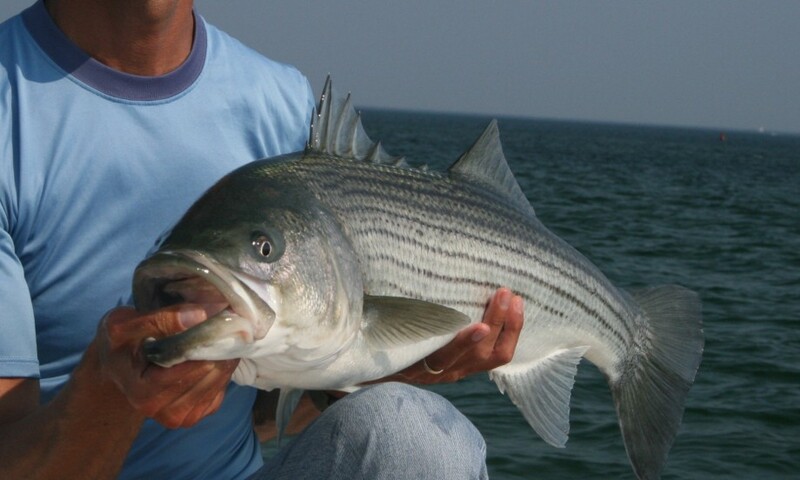 In the area where you will be fishing, we will be targeting striped bass and bluefish. Striped Bass charters begin about mid May and focus on fishing the rivers and estuaries where the water temps are warmer. The primary bait is typically herring, so we are throwing larger flies and plugs. By June the bass are also found out along the beaches, so charters could be inside or outside, with fish feeding on a variety of baits, so we “match the hatch”. In July and August most of the fishing for bass is done out along the beaches and in open water, and this is when we start looking for bass in shallow water, where we can sight cast for them. September is a great month when bass can be found inside and outside, often feeding on the surface. 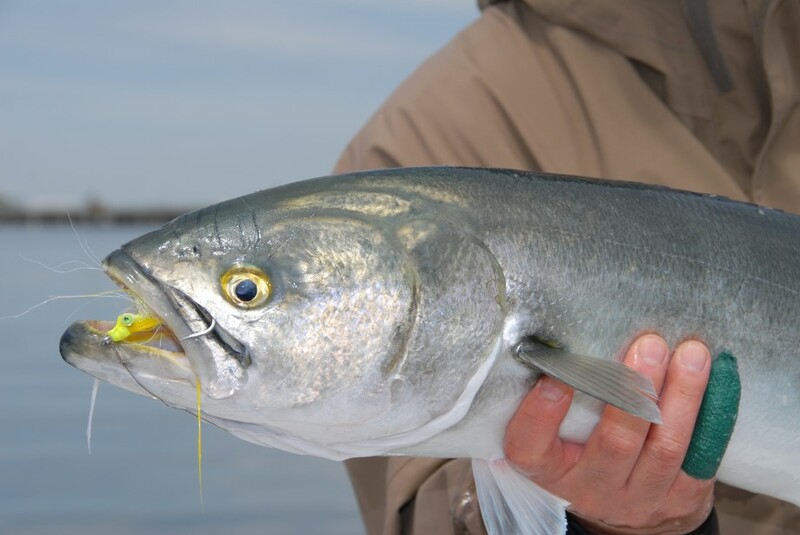 Bluefish may begin to appear in the local waters in June, but some years is it not until July. Once they arrive, they can be targeted through the fall. They are usually found in the open ocean, off the beaches, feeding on the surface. Check with Dave about bluefish availability as they are less reliable than striped bass.